Greg Mickelson, right, of Northtown Ford in Menomonie, Wis., and Brad Akers, Twin Cities regional manager for Ford-Lincoln parts, service and sales. 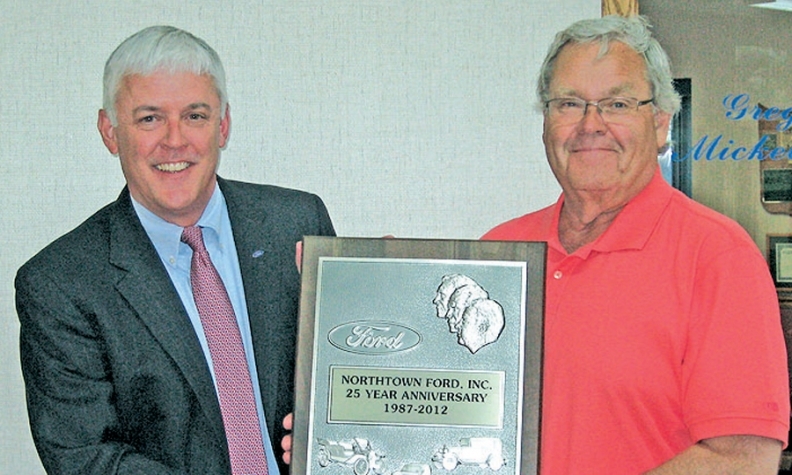 Greg Mickelson, right, of Northtown Ford in Menomonie, Wis., receives a 25-year award for Ford from Brad Akers, Twin Cities regional manager for Ford-Lincoln parts, service and sales. 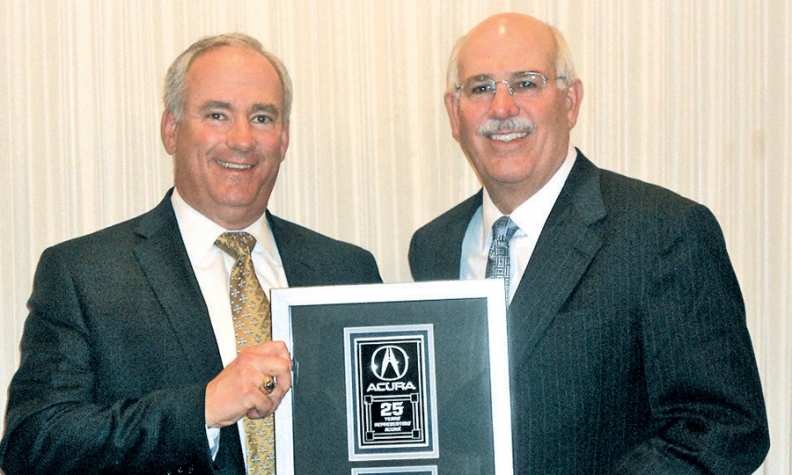 Jim Morino, left, of Acura of Lynnwood in Lynnwood, Wash., receives a 25-year award for Acura from Jeff Conrad, American Honda Motor Co. vice president in charge of Acura sales. 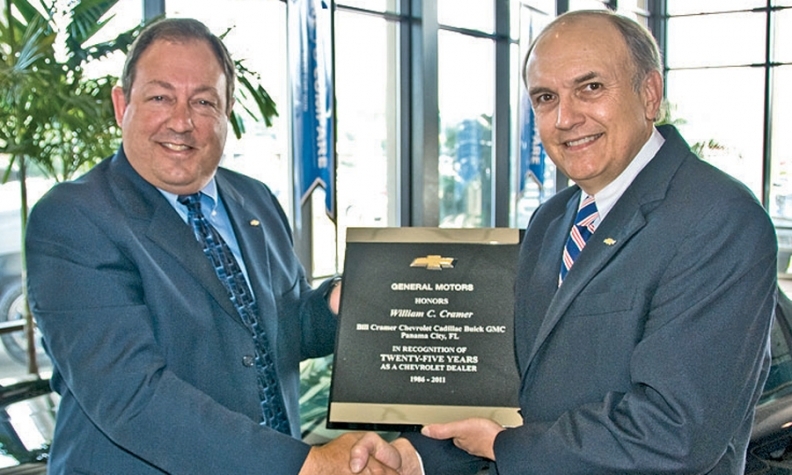 Bill Cramer, right, of Bill Cramer Chevrolet-Cadillac-Buick-GMC in Panama City, Fla., receives a 25-year award for Chevrolet from Ron Fairbanks, Chevrolet's Alabama-Florida panhandle district sales manager. 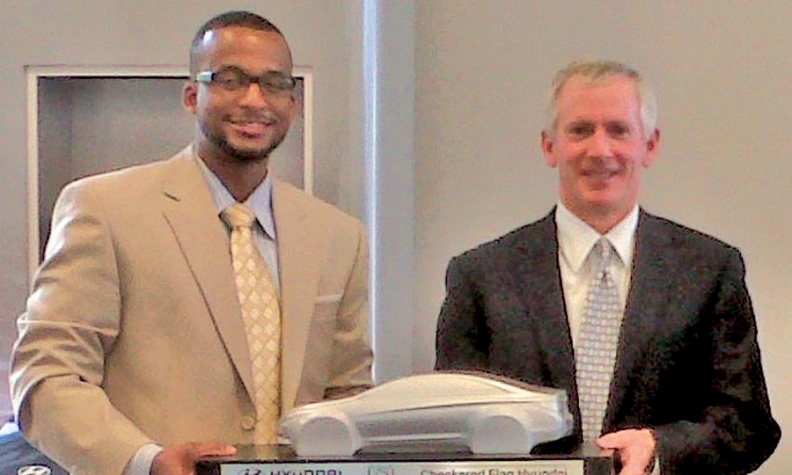 Steve Snyder, right, of Checkered Flag Hyundai in Virginia Beach, Va., receives a 25-year award for Hyundai from Carey Gammon, Southern regional district sales manager. 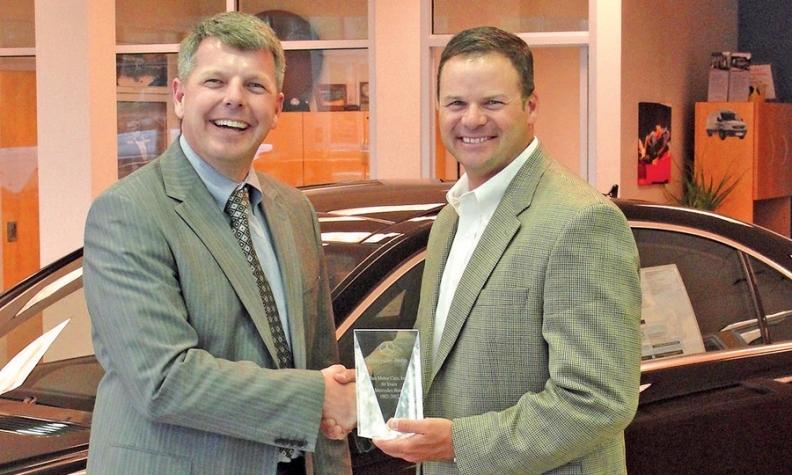 Dan Sunderland, right, vice president of Sun Motor Cars Automotive Group, receives a 30-year award for Mercedes-Benz at Sun Motor Cars in Mechanicsburg, Pa., from Peter Bresnee, Mercedes-Benz's sales operations manager for the Northeast.